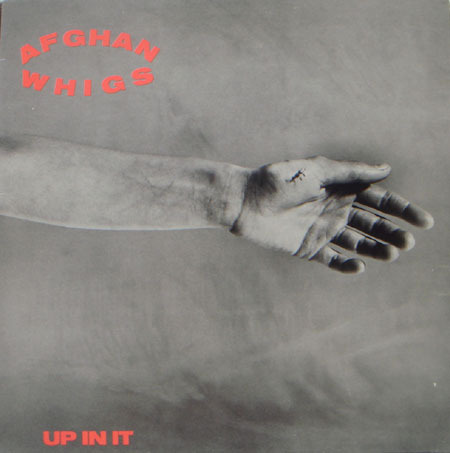 This was the first Afghan Whigs album released on Sub Pop. There were two versions of the sleeve and several colors of vinyl to go along with each. 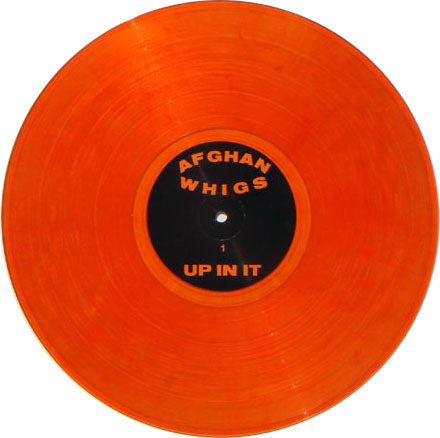 The first pressing was of 1000 copies on orange vinyl. 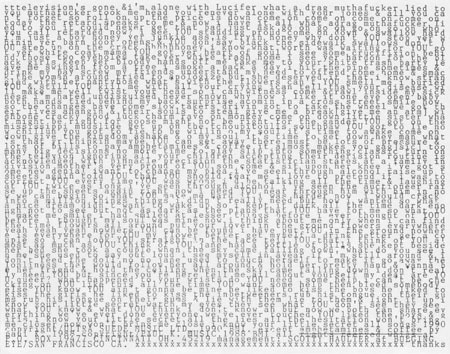 Accompanying these copies was the sleeve containing the horizontal arm and orange print. These copies came with lyric sheet inserts. The first press orange is attracting more purchasing interest again, but the price has stayed pretty stable. There were also black vinyl copies pressed with the original sleeve. Glitterhouse Records in Germany pressed this album (GR0092) with this sleeve as well, also on black vinyl. The cd version was one of the earliest Sub Pop Europe releases (SP5/116). 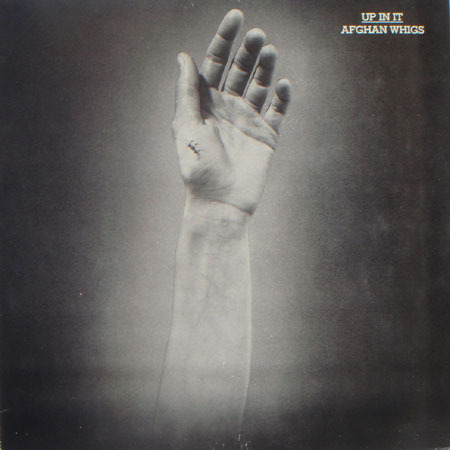 Later pressings had the second version of the sleeve shwon above, depicting a vertical arm with more shading and white lettering. This version was pressed on black, green, blue marble and blue-green marble vinyl, and came with no inserts. The blue and green varieties are all fairly rare. The blue-green is less common than the green, and the blue is typically a really tough find. The craziest collectors (myself included) have locked up their blue and blue-green copies, so the prices have come down a bit (and the green ones have gone up lately). 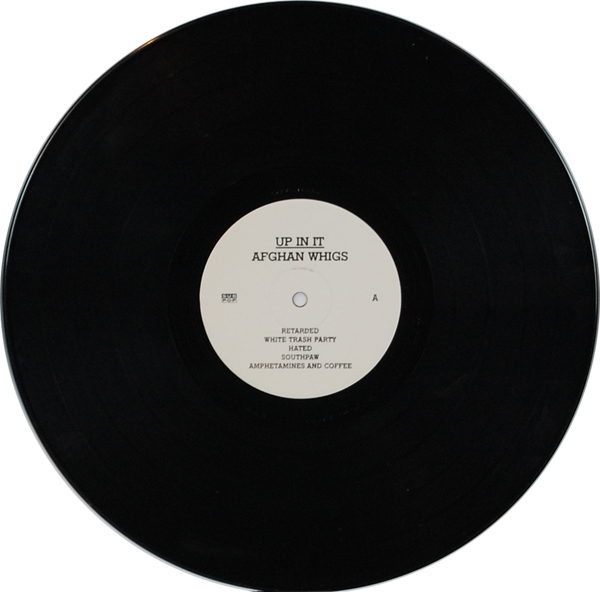 There are also a very few copies out there that were on the 1st press black vinyl, but came in 2nd press sleeves. 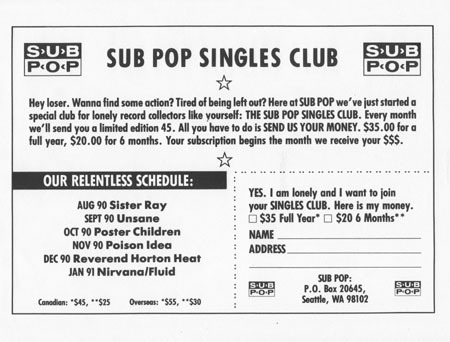 These copies, unlike the rest of the 2nd run, did come with inserts: letter-sized Singles Club enrollment forms. The first time I saw one of these, I thought it was an anomaly, but I have since seen five or six copies that meet this description, which tells me otehrwise. 2017 brought us some fabulous re-presses of Up In It. The U.S. "Loser Edition" variant was a deep blue marble (closer to the Nirvana Bleach blue marble than the previous Up In It variant). Although it is a distinct color, it is bound to cause some confusion at some point. A black vinyl re-press was also released. There was a separate Loser Edition pressed in Europe. It had unique matrix codes and the color was different - this one was more of a solid blue.